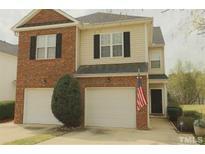 Below you can view all the homes for sale in the Hedingham subdivision located in Raleigh North Carolina. Listings in Hedingham are updated daily from data we receive from the Raleigh multiple listing service. To learn more about any of these homes or to receive custom notifications when a new property is listed for sale in Hedingham, give us a call at 919-759-5376. Offer! Pool, Golf Tennis & MUCH MORE! MLS#2250317. 2006. Quiet neighborhood with abundant amenities including, clubhouse, Recreation center, lake, pool and golf! MLS#2249637. 3894. Lots of light. Great community features! MLS#2248466. 1786. 2 pools, indoor basketball, gym, golf, all included! MLS#2247993. 4454. This home is an absolute must see in popular Hedingham Neighborhood. MLS#2247541. 297. HOA includes pool, tennis, athletic center & golf. All appliances convey. MLS#2247703. 350. Make this your new home today. MLS#2247770. 2016. Easy Access to I-40 & 1-540 and Minutes from Downtown Raleigh & N. Hills MLS#2247046. 4752. Home offers 2 bedrooms , each with private bath, open floor plan, vaulted ceiling, 1 car garage, built-in bookcases, 1 year home warranty. MLS#2246668. 1533. 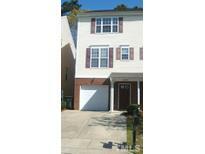 Located right between 440 and 540, and only 15 minutes to downtown Raleigh! MLS#2245865. 4917. Large screen porch, grilling deck. New roof! MLS#2244664. 2944. Grilling deck looks over 2nd tee box. Roof, windows, hvac, floors, NEWER. MLS#2243194. 2944. Click on Video for 3D view of home. MLS#2243437. 633. Lower deck has some shade & built-in seating. Attached one car garage. MLS#2244795. 2804. Don't miss the separate studio! This won't last. MLS#2244336. 4751. It has beautiful hardwoods in the living/dining rooms. MLS#2244276. 5037. Golf community with two community pools. MLS#2243917. 4346. 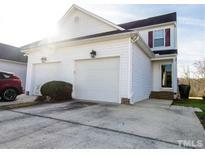 Great home in moving in READY. MLS#2243970. 1349. Huge screen porch & huge deck to enjoy view. MLS#2239940. 2944. This homes is part of the Headingham HOA. MLS#2241646. 4823. Access to a community pool is part of the Hedingham HOA. MLS#2240714. 4823. Community pool, golf course, clubhouse, gym, tennis courts, and park are part of the Hedingham HOA. MLS#2240673. 4823. Community includes pool, clubhouse, tennis and walking trails. MLS#2238669. 1442. Convenient to 440, 540, shopping and dining. Welcome Home! MLS#2238574. 4025.